In this tutorial,I will show you how to easily download or save videos or gifs and pictures from Twitter to your computer without using any software or website. Do you want to download Tweets (Any Public Profile) to Excel? Sign up for Quintly (Free 14-Day Trial For All Packages – NO CREDIT CARD NEEDED) and start downloading in no time! You get the tweet URL by clicking on the more icon (… three dots) below the video or gif. 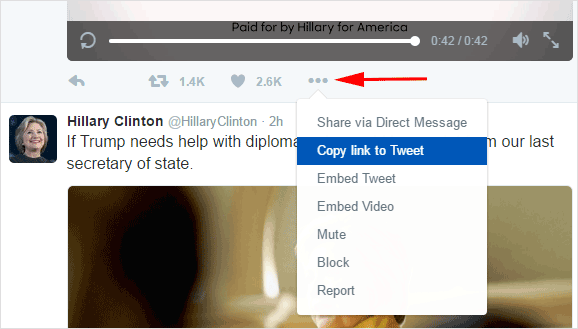 From the menu that pop ups select “Copy link to Tweet”. A prompt will display the link,copy it and we will use it in the coming step. 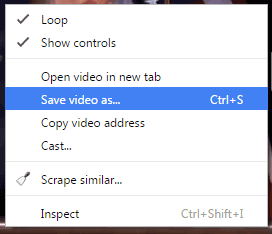 Step 3:Open the modified URL in the browser,play the video for a bit and right click on the video while it is playing and select “Save video as…” from the pop-up menu. 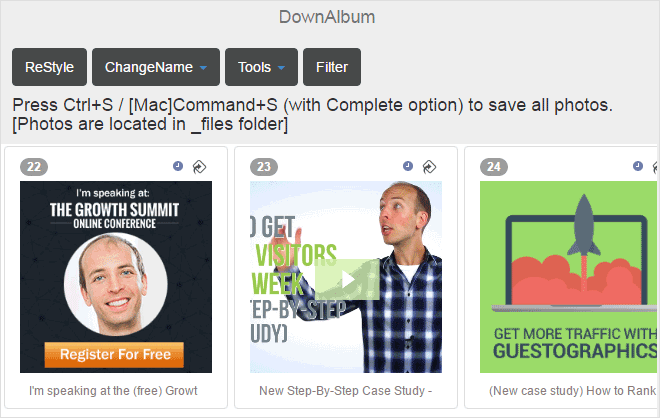 Save your video or gif in mp4 format to your preferred location on your computer and enjoy it anytime! 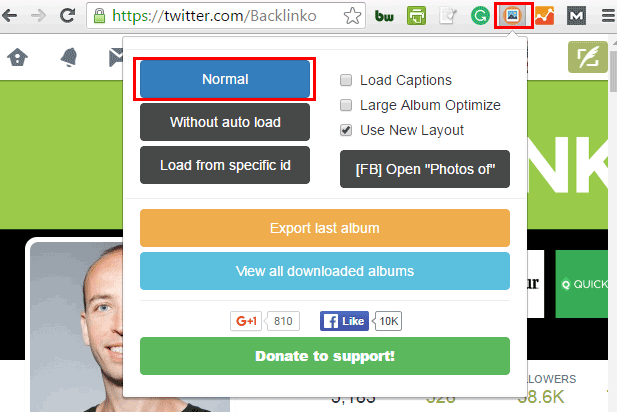 In order to download images and photos from Twitter in bulk follow below steps. Step 1:Install DownAlbum a Google chrome extension.I tried many tools but this one so far is the best. Below image shows DownAlbum icon on my browser after successful installation. Step 2:Go to the Twitter account you want to download pictures from then click on the DownAlbum icon to start downloading the photos. After visiting the page click the DownAlbum icon on the top right corner of your browser and click “Normal” to start downloading the pictures. You will get the following prompt once the download starts.You can choose to stop or close the download as you wish. Once the download finishes a window will automatically pop up to ask you where to save the pictures on your computer.Stopping or closing the download will also trigger the pop up window to save the pictures. If you are using Windows press CTRL+S to save all photos.If you are using MAC press COMMAND+S to save all photos. Pictures are located in twitterpage_files folder. The downloaded pictures will have .png-orig or .jpg-orig or both file extensions which can’t be open by Windows photo viewer (I didn’t test for MAC). Incase file extensions are hidden on your computer.This is how to show file extensions for Windows and this is how to show file extensions for MAC. We need to change the file extension to .jpg or .png so that we can view the photos using Windows photo viewer. Our example Twitter page of Brian Dean has 60 photos which we have to rename all the 60 photos file extensions.Renaming each file extension separately can be a pain.The best solution is to batch rename them. Select all the pictures in the folder and then Control-click one of them.In the shortcut menu, select Rename Items.In the pop-up menu below Rename Folder Items, choose to replace text in the names. Enter .png-orig in the Find field, then enter .png in the “Replace with” field.Then click Rename. Enter .jpg-orig in the Find field, then enter .jpg in the “Replace with” field.Then click Rename. Select the folder with the photos we just downloaded in the previous step. 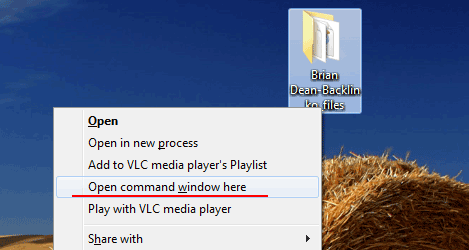 Press Shift and right-click on the folder and select “Open Command Window Here” from the menu that pops up. You will now see a Command Window with the photos folder as the current working directory. Now all the pictures file extensions have been successfully changed in only two commands!The pictures now can be viewed with Windows photo viewer. While it is easy to download videos and images from Twitter profiles, make sure you are not violating others privacies and copyrights. Check my other tutorial where I show you how to download a Twitter profile tweets and followers to Excel.